Lauren Greenspan and Julia Handelman, both educators, saw the transformative benefits of yoga with their own students. “We realized yoga could benefit all students if they were given the opportunity to try,” says Greenspan. 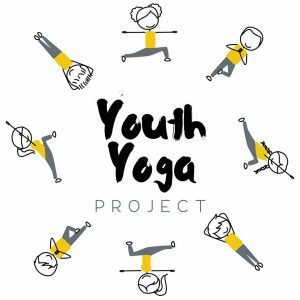 So they created Youth Yoga Project: a nonprofit providing access to yoga and wellness programming for young people to improve their physical, social, and emotional well-being and increase their academic success. This Spring, Greenspan and Handelman launched its first program; teaching a 12-week pilot program of yoga to five schools in central Ohio. “We have a particular mission to serve students in under-resourced communities that wouldn’t normally have access to yoga programming,” Greenspan explains. 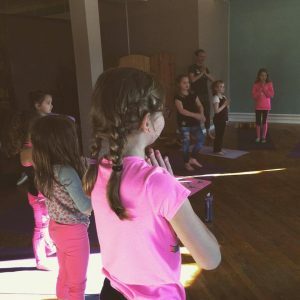 “We believe, that in order to have the greatest impact on the most students, yoga programs should be integrated into the regular schedule of students.” Which means they provide yoga programming in schools, after-school programs, and community settings. Greenspan shares that Youth Yoga Project (YYP) is unique because they eliminate all barriers to accessing yoga for students. They bring yoga mats and teach yoga in their classrooms and after-school programs. “Through this instruction, we empower students to use their breathing, mindful awareness, and relaxation tools to learn to self-regulate and keep calm – focused minds and bodies,” says Greenspan. Greenspan says her and Handelman’s favorite part of growing Youth Yoga Project is meeting and working with educators and community members across the city to help support their students’ growth. Youth Yoga Project has been fortunate to receive support from individuals, local organizations, foundations, and businesses. “But the most exciting thing for us is growing our programming so that more and more students get to experience the healing benefits of yoga,” shares Greenspan. 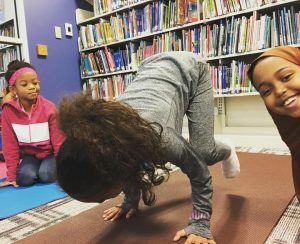 Currently, Youth Yoga Project is fundraising for their end-of-year giving campaign called “Give 614 Schools Yoga.” Their goal is to raise $10,000 to give 10 classrooms FREE access to yoga instruction. You can learn more and support by visiting: www.youcaring.com/youthyogaproject. There’s also an ongoing partnership with Wild Sage Collective. If you buy one of their Youth Yoga Project bracelets, half the proceeds go back to YYP to support their programming. Learn more about Youth Yoga Project by visiting online at www.youthyogaproject.net. And be sure to follow along on Facebook and Instagram: @youthyogaproject.